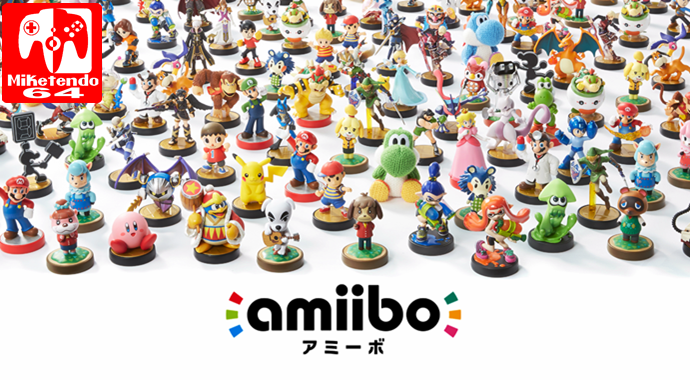 [Editorial] What You Don’t Know about amiibo! Since 2014, amiibo has been rather popular among Nintendo fans, and for some, it’s been an obsession. With a deep passion for a certain game series, of course we’re going to want to buy most, if not all the amiibo that’s associated with our beloved series. Sure a few of us have been able to avoid the amiibo bug, but the rest of us are in just too deep! Still there is far more to these little figurines that most of us don’t release and that is the purpose of today’s editorial. So besides being something to collect and use with our favourite 3DS, Wii U and Switch games, the actual process to fabricate them is far more elaborate than you realise, so if you’re wondering why there aren’t more third part amiibo like the Shovel Knight one, get ready to learn the reason why. When a developer or even a publisher wishes to create their own amiibo to be used for their software, they need to submit a proposal to Nintendo that consists of things like their design for the amiibo. The function in which it will serve. Their go-to-market strategy and timing. Who will handle the manufacturing of the amiibo. Details of their distribution partner and their sales/marketing strategy and should Nintendo approve the proposal, the developer/publisher will then need to purchase 100,000 NFC (Near Field Communication) tags before the manufacturing can even begin and at around .30 cents a tag the price of amiibo is already stacking up a colossal amount. Sure we’ve heard it before, making amiibo is not cheap and it certainly isn’t, especially given the number of partners that are involved with the making of and distributing the figurine, but it is a huge financial risk for all those involved, (a risk that also requires convincing retailers there is a demand for their amiibo), especially since having tons of amiibo sitting in a warehouse is most definitely not a good thing and it is just not feasible to mail out amiibos individually. Plus a percentage of the profit is to then be paid to Nintendo for the dev/publisher being allowed to use the amiibo license. Bit unfair, but that’s the way it goes. So yes, amiibo really is a tricky affair, much like releasing a physical version of your game, and despite certain devs and publishers knowing full well there is demand for the likes of a Rusty from SteamWorld amiibo and more like it, unfortunately, given the huge financial risks involved, it’s a big leap of faith to take, so as far as amiibo goes in the meantime, it looks like it could be quite some time before we see the release of the next indie made amiibo. Whereas amiibo cards isn’t as costly, but it is still something of a risk in itself. We hope you enjoyed our little dip into the world of amiibo. We don’t normally personally do this kind of thing here at Miketendo64, but hey, if not us, it would be someone else and this amiibo information is rather interesting! But since we have been talking about amiibo, and I’ve done enough of it, is there any amiibo you would like to see made a reality? Let us know!